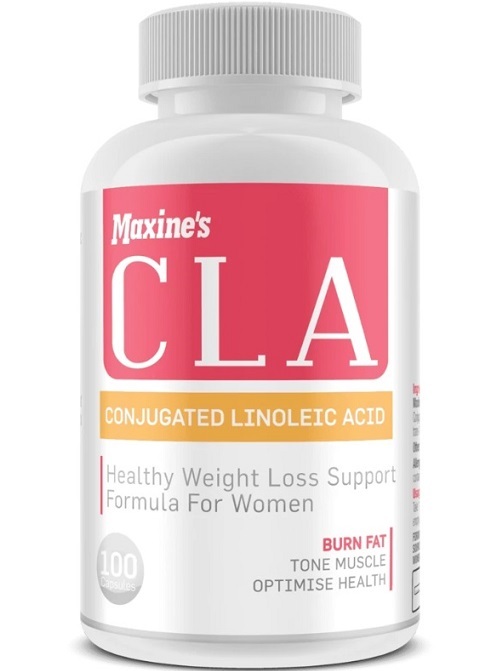 Maxines CLA Capsules contains a specialised fatty acid called conjugated linoleic acid, or CLA. Though most of us thinks of fat as detrimental to our body composition goals, and as something to avoid in weight loss programs. Some fatty acids, however, when appropriately dosed, actually have important metabolic roles to play. Another example of this is the medium chain triglycerides found in coconut oil, and EPA found in fatty fish. Though they are in essence fat, this does not necessarily mean that they will contribute to fat gain. In fact, specific isomers of CLA are believed to assist with fat burning and muscle building, helping to increase our muscle to fat ratios. Maxines CLA Capsules are perfect for use during weight loss programs, facilitating the thermogenic effect and calorie expenditure. CLA may also be used during dieting for bodybuilding and physique competitions, as they may help to reduce any muscle wasting, which can all too easily happen when calorie levels are significantly reduced. Maxines CLA Capsules is a fantastic nutritional aid that can be used any time of the day, given that it is not classed as a stimulant. Maxines CLA Capsules is rich in c9, t11 isomers. This is one of the isomers identified as therapeutically active1. Take 1 Capsule (1 Serve) 3 times daily with main meals. Do not consume on an empty stomach.